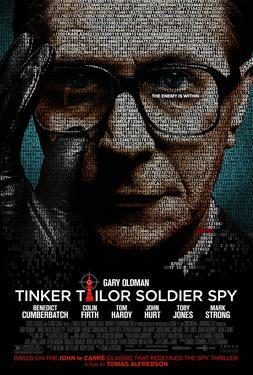 Tinker, Tailor, Soldier, Spy is the long-awaited feature film version of John le Carré's classic bestselling novel. The thriller is directed by Tomas Alfredson (Let the Right One In). The screenplay adaptation is by the writing team of Bridget O'Connor & Peter Straughan. The time is 1973. The Cold War of the mid-20th Century continues to damage international relations. Britain's Secret Intelligence Service (SIS), a.k.a. MI6 and code-named the Circus, is striving to keep pace with other countries espionage efforts and to keep the U.K. secure. The head of the Circus, known as Control (John Hurt), personally sends dedicated operative Jim Prideaux (Mark Strong) into Hungary. But Jim's mission goes bloodily awry, and Control is forced out of the Circus - as is his top lieutenant, George Smiley (Gary Oldman), a career spy with razor-sharp senses.